Take flavorful and spicy Sriracha peppers, fuse them will all-natural flake sea salt and you have the perfect finishing salt that adds flavor and bite to your best dishes! Don’t limit yourself to just Thai, use it in soups, sauces, noodles and pizza! This venerable Southern classic is a standard for any hostess worth her iced tea. The best cheese for these is an old, super-sharp cheddar, the kind that will practically take the roof off your mouth. If you can’t get such wonders, mixing in a bit of Parmigiano-Reggiano gives it just the right kick. 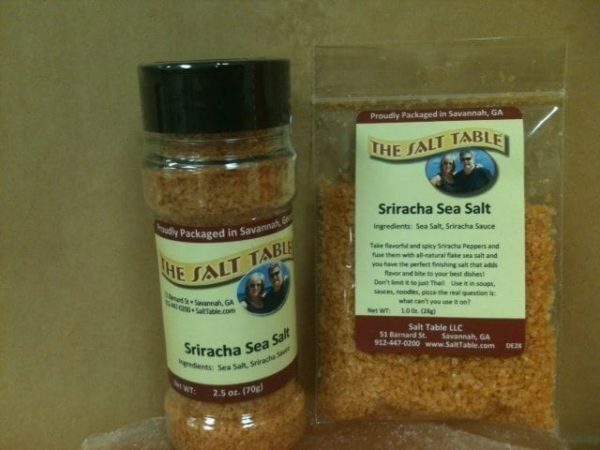 Most recipes call for both salt and cayenne: Since The Salt Table’s Sriracha Sea Salt is both in one, the seasoning is a little easier, a welcome thing with our busy holiday schedules! In a food processor fitted with a steel blade or with a mixer, cream the cheese and butter until fluffy and smooth. Add the Sriracha Sea Salt, and flour and process or work it into a smooth dough. Taste and adjust the salt to suit you. Gather it into a ball, cover with plastic wrap, and chill at least half an hour or up to 1 hour, but don’t let it get completely hard. If you make it ahead to bake later, let it soften at room temperature for about half an hour, so that it’s still cool but pliable. 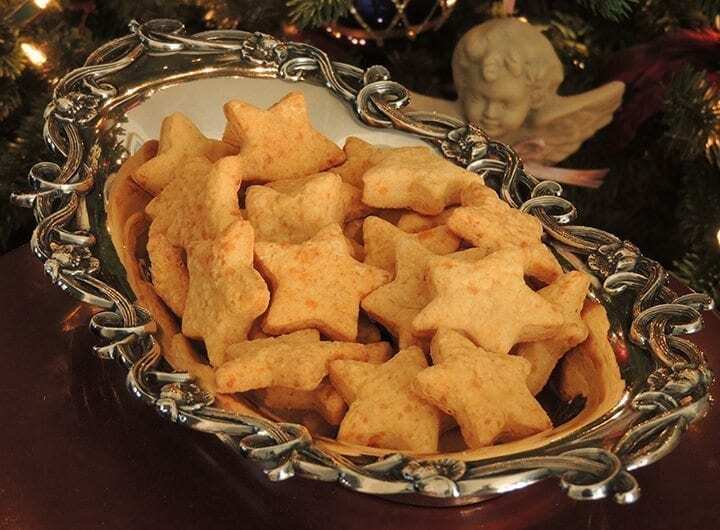 Position a rack in the center of the oven and preheat it to 325° F. Put the dough into a cookie press fitted with the star die and press it out onto an un-greased baking sheet into narrow 2½-inch straws, leaving about ½ inch between. Or lightly flour a work surface and roll it out a little less than ¼ inch thick. Cut with a knife or a zigzag pastry wheel into ½-inch by 2½-inch strips, or with small cookie cutters into decorative shapes, laying them on the baking sheet as you go. Bake for about 18 to 20 minutes, being careful not to let them brown on top. The bottoms should be golden but the tops and sides should not color. Cool on the pan before transferring them to an airtight storage container. Adapted from Essentials of Southern Cooking by Damon Lee Fowler especially for The Salt Table’s Sriracha Sea Salt, by permission of the author.